The Power Supply from Dell™ provides reliable power for your mission-critical applications. It delivers up to 200-Watt of power. 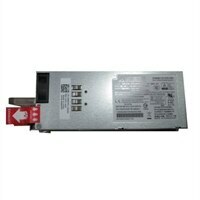 Dell Power Supply, 200w, Hot Swap, with V-Lock, adds redundancy to non-POE N3000 series switchesThe Power Supply from Dell™ provides reliable power for your mission-critical applications. It delivers up to 200-Watt of power.